Shah Rukh Khan in his recent interview was asked which current generation actor's work is most impressive. He immediately responded saying he had recently seen Tiger Shroff's Munna Michael's teaser and he looks fabulous. SRK also expressed he wants to learn action from Tiger Shroff. Later, in a recent promotion of Munna Michel, Tiger Shroff was asked to express his joy after listening to such a comment from SRK. 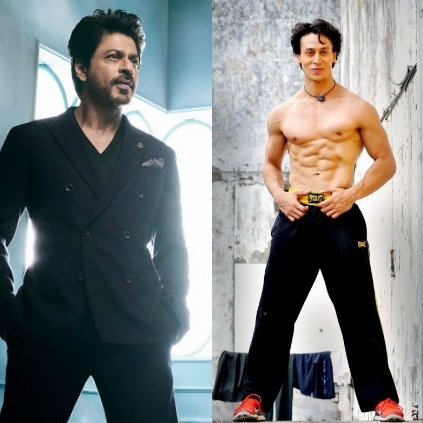 Tiger Shroff said that it shows the groundedness of superstar Shah Rukh Khan and he also told that SRK does not require his training and it is he who requires a lot of training to improve more skills. Tiger Shroff also said that if SRK starts doing the action then what will actors like him do? Munna Michael is releasing on July 21, the movie is directed by Sabbir Khan. Eros International and Viki Rajani are funding the film. The film also features Nidhhi Agerwal and Nawazuddin Siddiqui. People looking for online information on Munna Michael, Shah Rukh Khan, Tiger Shroff will find this news story useful.